It's a familiar situation: you're splayed about your bed, laptop on your stomach, figuring out what movie- or TV show-hole you're gonna fall down. But ever-the-savvy Netflix-er, you already know how using an "unblocker" will let you access all those sweet, sweet foreign movies and shows other American chumps can't see. Except now Netflix is on to you and wants to put the kibosh on your charade. 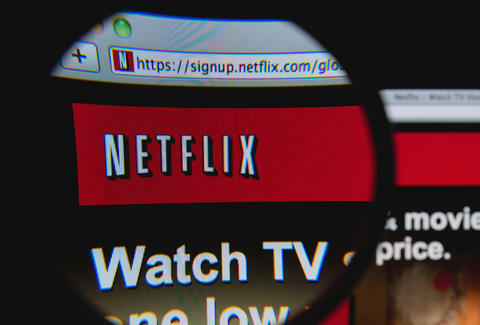 Netflix Vice President of Content Delivery Architecture David Fullgar detailed in a blog post Thursday how the company plans to crack down on people using proxy servers to view content not licensed for their location. The use of virtual private networks, or browser unblockers, allows the user to change their IP address and appear as if they're in another country. Netflix's licensing agreements mean content available to you depends on where you are. But the unblocker workaround lets you access shows you otherwise couldn't. As Fullgar writes, "in coming weeks, those using proxies and unblockers will only be able to access the service in the country where they currently are. We are confident this change won’t impact members not using proxies." In the meantime, it looks like you're just gonna have to wait a while longer to catch up on the next season of "The Great British Bake Off." Ryan Craggs is Thrillist's Senior News Editor. So long as there are more sports documentaries and Spanish-language movies on US Netflix, he'll be alright. If you consider being a snob alright. Follow him @ryanrcraggs.